Diabetes is a condition in which the affected individuals have high blood sugar levels. In order to deal with diabetes, it’s vital to follow a healthy and balanced diet, get enough sleep, drink plenty of water, and be active on a regular basis. People with diabetes need to restrict the intake of sugar and have control over their portions. In order to control your diabetes, you need to know more about the foods you consume. Which food is good and which is bad for your blood glucose levels. Also, you need to understand how food impacts your blood glucose levels. When it comes to portion control and following a healthy and balanced diet, you need to know which foods have sugar. Since fruits are rich in fiber, they can be really beneficial in case they are low in sugar. 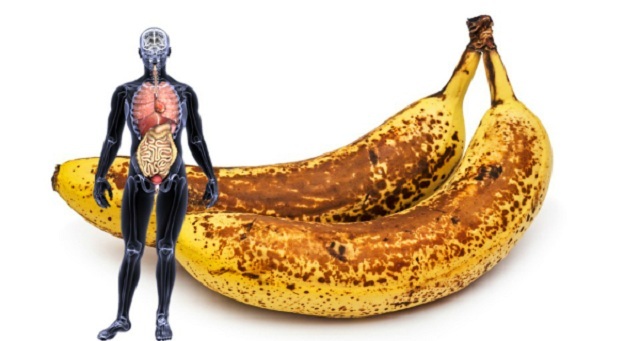 In order to understand which fruit is good for you to need to know what GI is. The GI, i.e., Glycemic Index is actually a relative ranking of carbs in food based on how carbs impact your blood sugar levels. Carbs with a low GI of 55 or less are actually more slowly digested, metabolized, absorbed and they cause a slower rise in the blood sugar and insulin levels. You should know that it is the carbs found in the food which triggers your blood glucose level. We can help you find out which fruits you can freely include in your diet. Below you will see a list of 20 fruits which are beneficial for your blood glucose levels. The guava comes with the low GI, i.e., glycemic index. Also, it is rich in fiber and vitamin C. The great thing about this fruit is the fact that it provides that feeling of fullness. 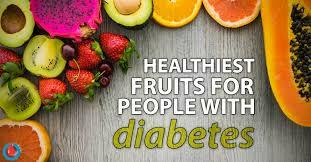 This fruit is abundant in antioxidants which can stop the further cell damage that a lot of people with diabetes face. Also, it helps lower the chance of developing heart issues. All nutrients found in the apple are vital for your body. However, in case you love the sweet apples make sure only to eat half an apple a day. The peaches are rich in carotenoids, and vitamin A. The excellent thing about this is the fact that carotenoids can lower the risk of type 2 diabetes. The pectin, i.e., a soluble fiber found in the peel of this fruit and its high amount of vitamin C it what makes the passion fruit good for your blood glucose levels. What it does is that it absorbs the glucose found in your body. This fruit is abundant in antioxidants and fiber. Those are the 2 nutrients which help lower the blood glucose levels. The grapefruit is rich in vitamin C. However; you can only consume the fruit. Avoid consuming store-bought or artificial grapefruit juice since it contains added sugar. Blueberries contain anthocyanins. That is a kind of flavonoid and antioxidant which impacts the color of the fruit. Blueberry comes with anti-inflammatory properties, and it is useful in controlling the blood glucose levels. With concise figs portions, you can get minerals, iron, high dietary fiber, and antioxidants. You should eat figs since they can help you lose a couple of pounds thanks to their low content of sugar. People think that watermelons are very high in sugar, but you should know that the watermelons don’t contain as much as sugar as you believe. Yes, they are sweet, but here moderation is the key. You should bear in mind that watermelons contain fiber, useful minerals and they have high-water content. Thanks to this you will feel full without raising your blood glucose levels. The oranges come with a low GI. Moreover, they are low in fat and rich in vitamin C.
Cherries have 20 GI. As a matter of fact, certain varieties have less than 20. This makes cherries a healthy snack for people who have diabetes. Believe it or not, but the plum is one of the best fruits for your blood glucose levels. Why? Since 30 g of one whole plum has a low GI and around 31 calories. Nowadays the avocado is gaining more popularity. Although it is high in calories, it can be beneficial for people with diabetes. Avocados are rich in vitamin C and fatty acids. The fatty acids present in avocados can lower the glycemic levels in the body. The pineapples are suitable for people with diabetes since they are very beneficial. It is like that since they are abundant in anti-bacterial, anti-inflammatory, and anti-viral properties. If you are a strawberry lover, then you will love this. The strawberries are a fruit which contains ellagic acid. This ellagic acid can manage the hyperglycemia, which is a big sign of diabetes and it is common when it comes to people with type 2 diabetes. But that is not all; the strawberries are rich in vitamins and antioxidants. Feel free to include this specific looking fruit in your diet. Believe it or not, but the pomegranate is among the most abundant sources of iron and antioxidants. Thanks to that the pomegranate helps combat chronic disease such as diabetes and it also helps lower the blood glucose levels. The lime, as well as the lemon, is abundant in soluble fiber, and vitamin C. What the soluble fiber does is that it helps regulate the blood glucose level. A person with diabetes needs to have a small amount of sugar. This sugar is necessary for the body to function. What is the best way to get that necessary sugar? Well, with kiwi. Kiwi is the best way to get that necessary percentage of sugar. Moreover, it is rich in fiber, and vitamin C, both which lower the chance of developing diabetes. Cranberry is abundant in fiber and antioxidants. Moreover, it is low in sugar, and that helps regulate your high blood glucose. Furthermore, the cranberry is helpful and useful for people with diabetes since it helps stop the recurrence of UTIs. This is an issue which people with diabetes face regularly. For everything, even for the fruits above mentioned you must remember one thing – moderation is the key! Also, you need to make sure to consult your doctor before you include any fruit in your diet. Your doctor needs to know about every change you plan to make in your diabetes management plan. So, is your favorite fruit on this list?